1. Put a rack in lower third of oven and preheat oven to 450 degrees. 2. Pat pork chops dry and sprinkle on both sides with 1 teaspoon salt and 1 1/4 teaspoons pepper. Heat 1 1/2 tablespoons butter in a 12-inch heavy skillet over moderately high heat until foam subsides. Brown chops in 3 batches, turning once, about 6 minutes per batch. Transfer with tongs to a large baking sheet. 3. 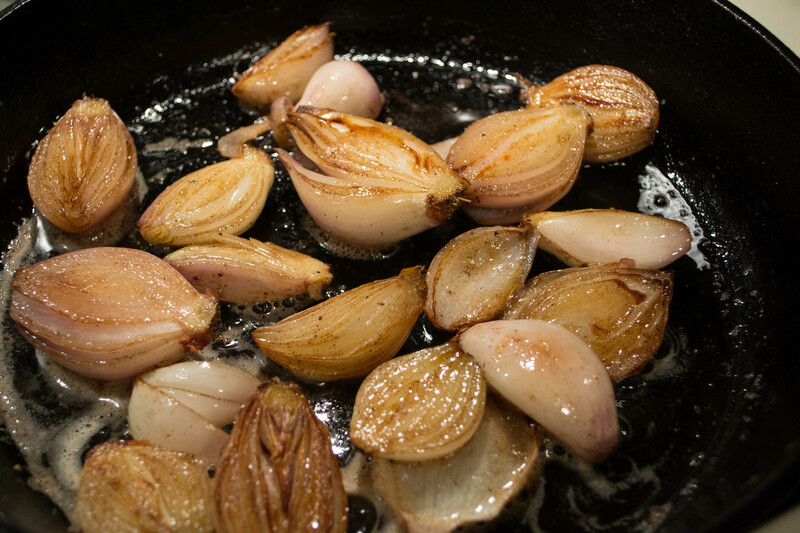 Add shallots and remaining tablespoon butter to skillet and cook over moderate heat, turning occasionally, until shallots are golden brown and tender, 6 to 8 minutes. Add cider and bring to a boil, scraping up brown bits, then boil until reduced to about 3/4 cup, about 3 minutes. 4. Spoon shallots and sauce around around chops. Roast until thermometer inserted horizontally into center of 1 chop (without touching bone) registers 145 degrees to 150 degrees, about 5 to 9 minutes. Cover chops loosely with foil and let stand for 5 minutes. 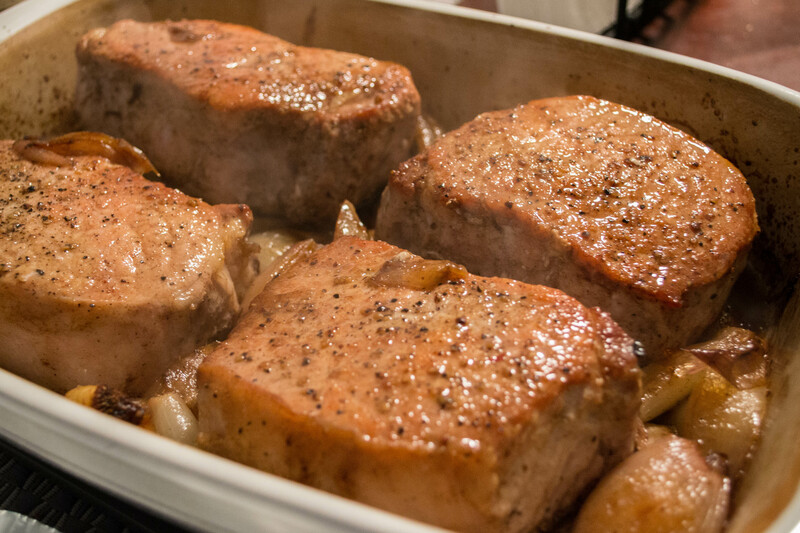 Serve chops with shallots and sauce.